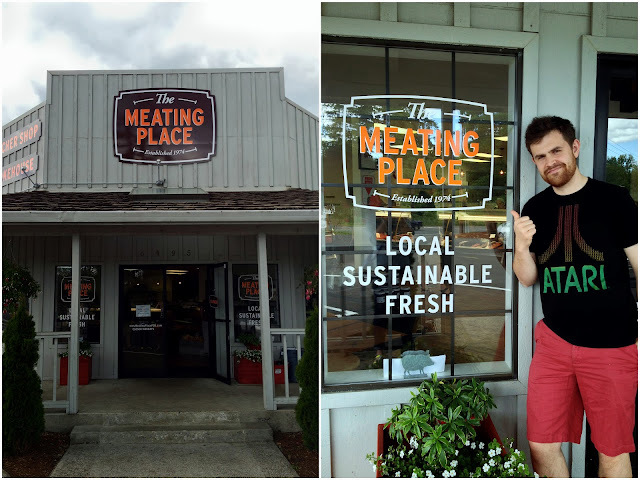 This last weekend my wife and I went to an awesome new (old) butcher shop in Hillsboro, just outside Portland. It's actually the reopening of a shop that was closed by the original owner in 1998. Casey Miller, a butcher who started out working at the original shop in the 90's, reopened the full service store in April 2013. My wife and I heard about this in The Oregonian and we had to go check it out! 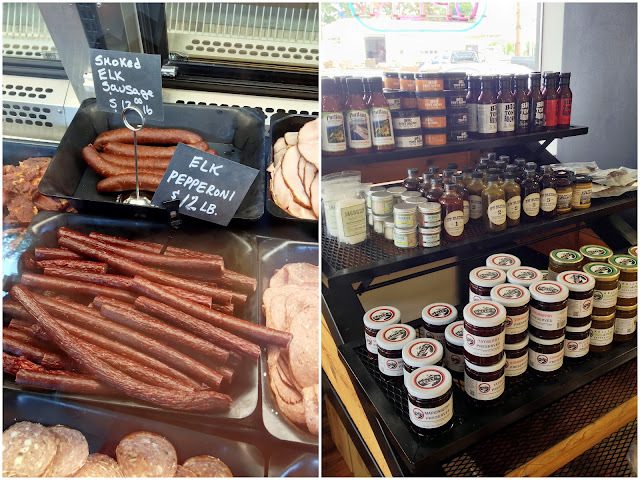 They have a bunch of local, quality meat options, including 100% grassfed beef, and they process all the (whole) animals right in the shop (and make their own sausage, etc.). If you're interested in supporting a local business who supports the grassfed, sustainable approach to meat production, check this place out! Check out their website here and, if you're local, visit them off of Cornelius Pass Road in Hillsboro. They make all their own sausage and smoked/cured products like bacon, bratwurst and even elk pepperoni sticks! They had a freezer full of raw dog food (made from the organ meats/offal and other extras from the animals they process there), and huge beef bones! They labeled them for dogs, but we knew we could make some awesome bone broth with them. We also got a couple different types of sausage which all ended up being delicious! Here's our bag of bones before going into the pot for bone broth. We mixed them with some pork bones we got from one of the farms we've bought from. It was some of the tastiest, fattiest broth we've ever made! 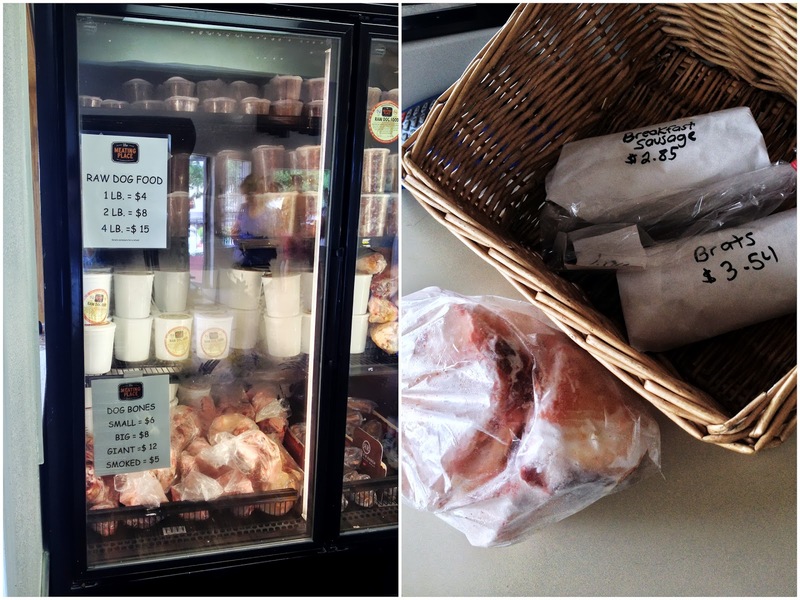 We know there are a TON of quality meat processors/charcuterie shops in Portland--we have plenty more to check out. But definitely, visit The Meating Place if you're ever out that direction. We want to try their BBQ Saturdays sometime, too!